Our New York Labor Department Defense Lawyer often lectures small business owners on their legal obligations and best practices to ensure they are in compliance. One recent discussion topic focused on what happens when a worker who was classified as an independent contractor or freelancer files a claim for unemployment insurance benefits. This can simple innocuous filing can lead to multiple government investigations and potential financial penalties. If the worker was indeed an independent contractor as determined by the Department of Labor (DOL), the claim for unemployment insurance benefits should be denied. However, if the worker was actually an employee but incorrectly classified as an independent contractor, not only could the benefit claim could be granted (assuming the worker was otherwise eligible) an investigation and audit could be commenced against your business. 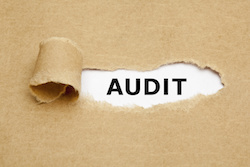 The ensuing audit could focus on your company’s entire workforce and whether you misclassified any other workers in the past 3 years and owe any back payroll taxes. The audit is a serious matter and should not be ignored nor considered lightly – it is a legal process with consequences. Ideally, it is important to get experienced employment law counsel regarding the classification of your workforce and the impact of an unemployment insurance claim. The audit itself can be a time consuming process and could reveal employees paid off the books, misclassified workers, overtime and minimum wage violations, and other employment-law related issues. Employers are required to maintain certain payroll and time records and your records could be examined. Our Award-Winning New York Employment Lawyer can help you determine your options and potential exposure, if any. An adverse determination can lead to a bill for unpaid payroll taxes for three years, penalties, interest, additional audits or investigations by other government agencies and the requirement to file quarterly payroll tax forms (amended or new). Proactive steps and corrective measures can be important in these types of cases. Call our office at (800) 893-9645 for a confidential consultation.